Good Ol Divas, it never lets us down. Whilst you may think of it as just the Uni nightclub with the incredibly sticky floor, we think of it as the reliable staging area with the sticky floor. Should we ever perform an epic Showcase of all our new members or an amazing Panto that one of our members wrote, you can bet your bottom dollar it’s going to be in Divas. Located within the University its stage is ideal for smaller productions, with the added benefit of being available to the society for free! Should we ever perform an epic Showcase with all of our new members or an amazing Panto that our members wrote, you can bet your bottom dollar it’s going to be in Divas. 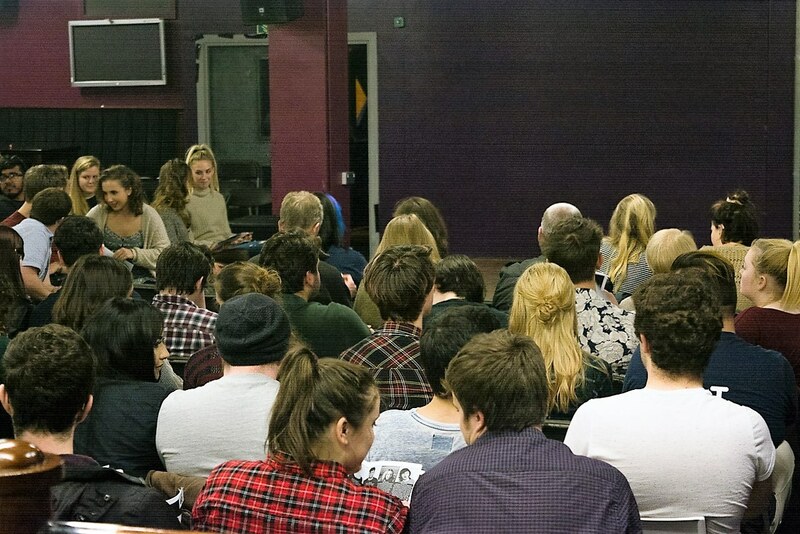 Located within the University its stage is ideal for smaller productions, with the added benefit of being available to the society for free!